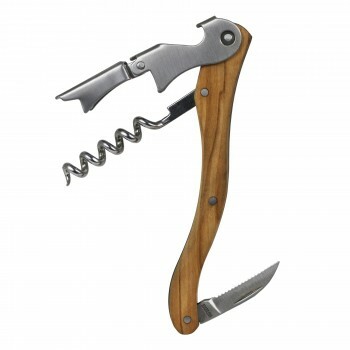 An elegant olivewood handle corkscrew with stainless steel parts. 5” long overall. Imprint area on lower boot lever: 3/4” X 1/4”. Metal Laser engraving available.